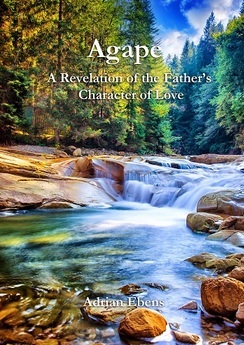 Contributors to a better understanding of the character of God featured on this page are people who have written or recorded material significantly promoting this message. Each name in the list below is a link to an individual profile with more detail including some biography and history, publications, videos, websites etc. From these people and their work you will find a wealth of information on this topic. This is a Who’s Who of people knowledgeable on the topic of the character of God. Read with a desire to know God better, to appreciate that He really is a God of love and you will be rewarded. Note: I don’t necessarily endorse every belief and teaching of the contributors listed here. Contributors were selected on the basis of having produced significant material on the character of God issue. Click each name below to access a profile, that person’s resources, contact information etc. Explore their information. Bowen, Rose (Virginia, U.S.A.) Rose hosts this Word Press site, gives much-appreciated technical advice and has contributed blog posts. Boyd, Greg (Minnesota, U.S.A.) Greg is an internationally-recognized theologian, preacher, teacher, apologist and author. Campbell, Marilyn (Idaho, U.S.A.) Marilyn has written several books on the character of God and is an active promoter. Chambers, Bill (1914 – 2015) Bill wrote a book that gives a very good explanation of the difference between the Healing and Legal models of the gospel. Cinquemani, Paul (Wisconsin, U.S.A.) Paul is author of Oh my God available as a free on-line download. Cole, Drs. Brad and Dorothee (California, U.S.A.) Brad and Dorothee edited Servant God The Cosmic Conflict Over God’s Trustworthiness. Chapters of this very good book can be listened to from this site. Highly recommended. Coleman, Gary (Washington, U.S.A.) has produced some very nice videos discussing God’s character and the flood. Douglin, Dr. Elliot (Barbados) Elliot wrote the book God’s Character The Best News in the Universe. Ebens, Adrian (Gold Coast, Australia) Adrian is a worldwide speaker and author with a ministry based in Australia. Edwards, Troy (Rhode Island, U.S.A.) Troy has written a number of books and has audio and video teachings on the true character of God. Eshun, Emmanuel (Accra, Ghana) Emmanuel (Emma) has written a number of very good articles and is committed to sharing the message of God’s character. Fifield, George (1859-1926) gave a significant series of sermons in 1897 at a general conference meeting showing that the character of God message was better understood in the not-too-distant past. Foucher, Ray (British Columbia, Canada) Ray is an author and webmaster for this site. I have a desire to advance and help others advance the understanding of this topic. If you notice any typos or other problems on this site please let me know. Gibson, Ty (Oregon, U.S.A.) Ty is a co-director of Light Bearers Ministry, a speaker and international author. Grant, Ozzie and Denice (British Columbia, Canada) Ozzie and Denice have a website, book and YouTube channel. Jennings, Dr. Timothy (Tennessee, U.S.A) – Tim is a psychiatrist and author with great insights into the character of God and the Gospel. King, Brent (Oregon, U.S.A.) – Brent had a problem with the Old Testament God until he began to focus on the New Testament God. Lorencin, David and Kelley (Michigan, U.S.A) – their site includes a blog in which every chapter of the Bible is considered in light of God’s character. Maxwell, Graham (1921-2010) Graham was a well-known teacher and educator. 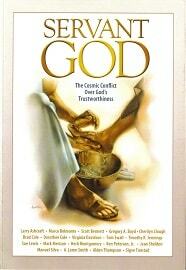 Very good messages on God’s character in light of the cosmic conflict between good and evil. Montgomery, Herb (West Virginia, U.S.A.) Herb is a popular speaker with some unique insights. Myers, Jeremy (Oregon, U.S.A) Jeremy is an author, speaker and blogger on the One Verse Podcast. Paulien, Dr. Jon (California, U.S.A.) Jon is an author, speaker and Dean of Religion at Loma Linda University. Sager, Ed (Oregon, U.S.A.) Ed’s free PDF book is titled: WOW! If This is What God is Like Then Count Me In! Sheldon, Jean (California, U.S.A.) is an author and professor of the Old Testament at Pacific Union College. Straub, Don (British Columbia, Canada) is a counselor and speaks on the truth about God’s character. Straub, Kevin (Saskatchewan, Canada) is the compiler of As He Is: Issues in the ‘Character of God’ Controversy. Thompson, Dr. Alden (Washington, U.S.A) Alden is a professor of Biblical Studies and author of Who’s Afraid of the Old Testament God? Turner, Sherlene (Australia) asks the question “Why Blame Jesus?” and has some good answers to difficult questions on her website. Waggoner, Ellet J. (1855-1916) was a physician as well as an influential speaker and author. 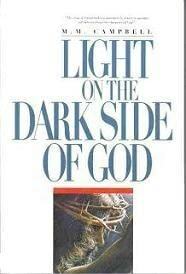 Wright, Fred (1925-1997) – Fred was the author of Behold Your God (1979) a classic book on the character of God. Zahnd, Brian (Missouri, U.S.A) is a pastor and author of Sinners in the Hands of a Loving God and other books. Zimmerman, Frank (British Columbia, Canada) is webmaster and article writer for a site continuing the work of Fred Wright (see above). While this web site attempts to include sources from a wide range of Christian persuasions, you may notice references to quite a number of Seventh-day Adventist sources. That is largely because of the fairly-unique Great Controversy theme that has featured largely in their theology. That understanding helps answer those big questions like “why is there so much suffering in the world?” “why doesn’t God prevent tragedies?” On many of the web sites and in the writings of SDA authors you will see references to various early church pioneers. 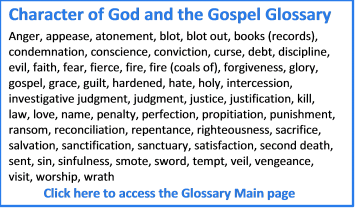 While such writers have often provided useful commentary on the scriptures, this web site strives, as much as possible, to focus on the Bible as the final authoritative word in understanding what God is really like. Pastor Bill Chambers wrote an excellent book on the plan of salvation called “The Healing Model.” I actually learned of the book from Dr. Jennings’ recommendation. I read Bill Chamber’s book – thank you for sending me a copy. You can see above that I added Bill as a contributor. His book does cover the Healing Model very well. I was very moved in learning how the two opposing principles in the two trees in the Garden of Eden can enhance Biblical application of “precept upon precept” in the books Demonization of God Unmasked and God is Not a Killer by authors Ozzie and Denice Grant. Wow! How have I missed this resource for so long? This is refreshing, to find a site that crosses so many artificial boundaries and links together in one place resources that often seem isolated or sometimes even competitive with each other. Thank you so much for putting this together. I will definitely add this to my list of recommendations to those interested in learning about this vital subject more deeply. May God bless this and multiply the light pouring into this world as the angel from Revelation 18 outshines any of our meager reflections of that glory. and would recommend it highly.